The ABGC Board met in Mission Beach this week. Highlights included decisions to end the Freckle Levy, on Congress 2019 and the re-instatement of the ABGC executive. The banana industry’s contribution to the National Banana Freckle Eradication Program is now estimated by ABGC at $12.2 million. The debt for this has been paid through the banana industry’s Emergency Plant Pest Response (EPPR) levy since July 1, 2015. With this debt expected to be paid off by September 2019, the ABGC board resolved to write to the Federal Minister for Agriculture and Water Resources proposing that the EPPR levy be deactivated as at July 1, 2019. That is, the proposal is for it to be reduced from 0.75c /kg of bananas sold to zero on that date. ABGC will contact all growers to inform them of this proposal. While no objections of a 0.75c/kg cost saving are expected (which is 11.25 c per 15 kg carton), there will be an opportunity to object provided. There were no resignations or new appointees nominated to the ABGC board. The Board also voted to continue with the same office bearers on the executive committee – namely the Chair, Deputy Chair and Treasurer. All seven directors have been re-instated, including (pictured below from left) Chair Stephen Lowe, Treasurer Stephen Spear, Deputy Chair Leon Collins, Ben Franklin, Paul Inderbitzin, Jade Buchanan and Tom Day (absent). Planning for the Australian Banana Industry Congress 2019 is in full swing with the two day program close to being finalised and registration to open soon. A shorter program and an exciting line-up of speakers and presenters will ensure the event goes off with a bang! Excitement is growing for the 2019 event which will be held at Royal Pines Resort on the Gold Coast from May 22-24. An update of the Goldfinger mutagenesis trial is now available on the Better Banana R&D website. The trial forms part of the industry’s quest to find a variety with resistance to Panama disease. Bunches from the September planting commenced in July this year and a large range of bunch and fruit characteristics have been obtained by the irradiation process. Last week a few North Queensland NextGen growers visited the trial and participated in a tasting. Check out the website to see a carousel of bunch images that show the variation for yourself! Chlorpyrifos dust is an organophosphate insecticide which is commonly used in the control of bunch pests, including thrips, caterpillars and borers. The permit for use (PER14240) is held by the Australian Banana Growers’ Council and is current until September 30 2020. It includes all registered products containing 500 g/kg Chlorpyrifos as their only active constituent. ABGC has recently updated its fact sheet online, to include important health and safety information to protect you and your workers. View it here. Mena Creek banana grower Matt Abbott this week released the final report as part of his Nuffield Scholarship. With support from Hort Innovation, Matt looked at ways to increase return for banana growers through branding, marketing ‘out of spec’ products and export opportunities. You can read an overview here and download the full report here. Congratulations to Walkamin growers, Rob and Krista Watkins (Natural Evolution), who were awarded the prestigious Peter Kenny Medal this week. The Medal, which includes a prize of $3000, is awarded annually to an individual or organisation who has made an outstanding contribution to Queensland’s agriculture, fisheries and/or forestry sector in terms of innovation leading to profitability and sustainability. Growcom recently launched the Fair Farms initiative, designed to give growers a way to demonstrate that they are fair and responsible employers. The Fair Farms Training and Certification Program was developed in response to increasing requests from customers for producers to show that they comply with Australian workplace and industry standards. A pilot program commenced in October 2018, and the full rollout is expected in early 2019. Woolworths and Aldi have indicated they will accept findings from this certification, and talks are under way with other retailers (it is up to participant to confirm). Woolworths has requested that their suppliers indicate whether they intend to participate in the Fair Farms Program by November 30 2018. More information is available here, including on costs, audits and other FAQs. A fruit quality workshop will be held on Friday December 7, from 3pm, at Golden Dawn in Coffs Harbour. All local growers are welcome and more information will follow. 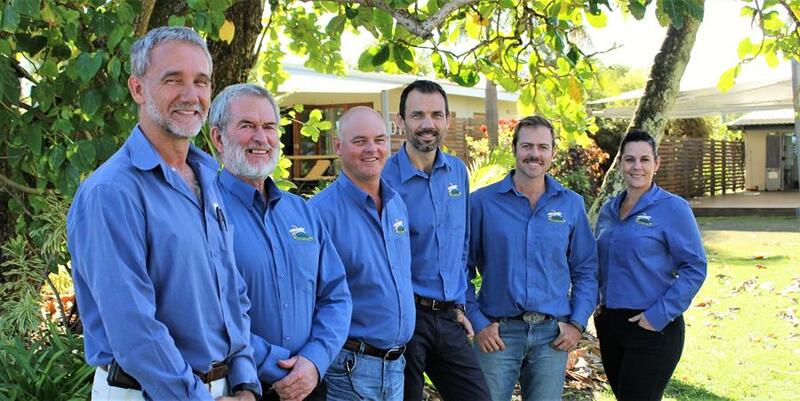 The Queensland Farmers’ Federation is currently working on a project to test agricultural insurance products. Through the Queensland Government’s ‘Drought and Climate Adaption Program’ and working with industry members, the University of Southern Queensland and Willis Towers Watson, QFF has assessed and modelled a range of insurance options for farmers. To find out more, or to inquire about participating in the project, visit QFF’s website.